Turn your tooth loss around by getting dental implants in Vero Beach. For anyone dealing with missing teeth, they already know how much it can affect their appearance and their self-esteem. It can feel uncomfortable smiling in public and enjoying dinners out may be more of a challenge than a much-needed outing. If you’ve been looking for a way to replace your missing teeth and to restore function and aesthetics back into your smile, then it’s time to see your Vero Beach dentist about dental implants. Dental implants are small titanium posts that are inserted into the jawbone of a missing tooth’s socket. This post acts as a tooth’s root, holding the artificial tooth firmly in place. A metal connector, also known as an abutment, is then placed on the top of the implant. The abutment is used to connect the implant to the dental crown. Getting a dental implant involves several months and multiple procedures, so this isn’t a quick or easy process; however, many patients will agree that the long-term benefits are worth it. We will first surgically place the implant into the jawbone. 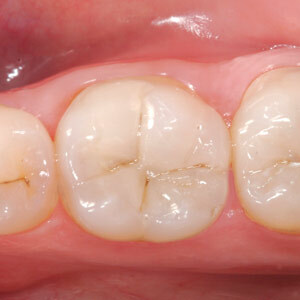 After which we will stitch the gums back up and allow the area to heal. During the healing process a naturally occurring phenomenon known as osseointegration takes place. This is when the bones and tissue surrounding the implant begin to grow around it. This keeps the implant permanently in place. Once this is complete, we will uncover the implant and attach the abutment to the top. Once this procedure is complete and the healing period is over your third and final procedure will entail placing the dental crown on the abutment. The dental crown will be designed beforehand to match the shade of the rest of your smile, so you will have a dental crown that is made to fit your smile only. Dental implants are the only tooth loss treatment that offers a long-term solution without regular adjustments and repairs. While the procedure is more expensive than other options, you may never need to replace your implant, unlike with dentures or bridges. Furthermore, dental implants not only preserve bone health and facial structure, but they actually promote the growth of healthy bone cells. This means you won’t have to worry about losing jawbone density or facial fullness, which is still common with denture-wearers. To find out more about dental implants call your Vero Beach dentist, Dr. Raymond A. Della Porta. Through a proper consultation and evaluation we can find out whether implants are the right treatment option to give you your best smile.